Figures of speech are important part of our daily life since they contain significant information about various sides of real objects. They have been developed through the centuries, but the fact is that human beings have disposition to use them, even without realizing it. Thanks to the figures of speech people can make their language more diverse, and also find out different meanings of one and the same word, or to relate objects which are otherwise incomparable. We are not obliged to make use of them, but still we are free to employ and create them, thereby manifesting our creative abilities and imagination. Here you will find some tips on how to use metaphors in your essays, but you could also apply these rules while working with other types of figures of speech such as allegory, simile, and so forth. These parts of speech operate as our “assistants” in gaining knowledge about what is unknown. In this way human thinking is developing. For that reason it is very important to show good skills in using figures of speech, and metaphors in particular. Metaphors are very closely related to similes, because they both make use of comparison and analogy. However, a metaphor does not claim that an object is “like” another, but it says that they are the same. For instance, a sentence “he fights like a lion” is a simile, but the sentence “he is a lion” is a metaphor. Metaphors are very closely related to similes, because they both make use of comparison and analogy; i.e. a sentence “he fights like a lion” is a simile, but the sentence “he is a lion” is a metaphor. Let’s take a look at several rules for using metaphors in your essay (provided that you are at high-school or college level, and not a professional in writing). The same rules are valid as regards of other figures of speech. Always be sure about the meaning of the metaphor you have used: it should express your thought very clearly, and be relevant to your topic, thesis or argument. It requires good verbal intelligence (this ability may be developed through reading hundreds of classic books). Always be sure about the meaning of the metaphor you’ve used: it should express your thought very clearly, and be relevant to your topic, thesis or argument. Use metaphors when it is necessary or when it will help you express your thoughts better. Therefore, do not simply “insert” metaphors in order to be “more attractive” for the reader, or more impressive. In papers dealing with strictly scientific issues it is recommended to use metaphors very rarely, especially in natural sciences. It is so because in scientific papers you have to formulate theses and supply arguments. Hence, the usage of metaphors depends on the type of your essay, its goals and context. That means you should have a balanced approach to them. Can you imagine a situation in which you are going to a shop to buy electronic equipment and start using metaphors while speaking with one of the employees there? Well, they probably will laugh at you, or think you are joking with them. If you use metaphors all the time while speaking with someone, you will fail to communicate your thoughts. Of course, there are some people of art that have “more special” style of expressing themselves, but let’s assume you are not one of them. If you use metaphors all the time while speaking with someone, you’ll fail to communicate your thoughts. The best way to write an essay without unnecessary figures of speech is not to think about them at all. Just express your personality, and the metaphors will flow freely and in a natural way. If you read more classic books (particularly some of the best writers of essays, such as Thomas Mann, Ralph W. Emerson or Stefan Zweig), you will know better how and when to use figures of speech. 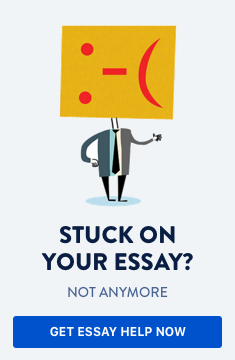 Remember: your essay is also a stage of the development of the language, so you contribute to its evolution.